The local legends, historical happenings, and backyard secrets of Smithfield, Rhode Island, are the focus of Our Town, an ongoing Rhode Island PBS community project. Rhode Island PBS premieres the documentary Our Town: Smithfield in September 2017. But long before that, neighbors and friends of Smithfield will become filmmakers and storytellers. Residents are especially urged to participate, but one need not live in the particular town - just have a great town story to tell. A planning meeting and two workshops lead up to the period allocated for filming. During the planning meeting, participants discuss and choose the subjects and locations they want to include in the documentary about their town. 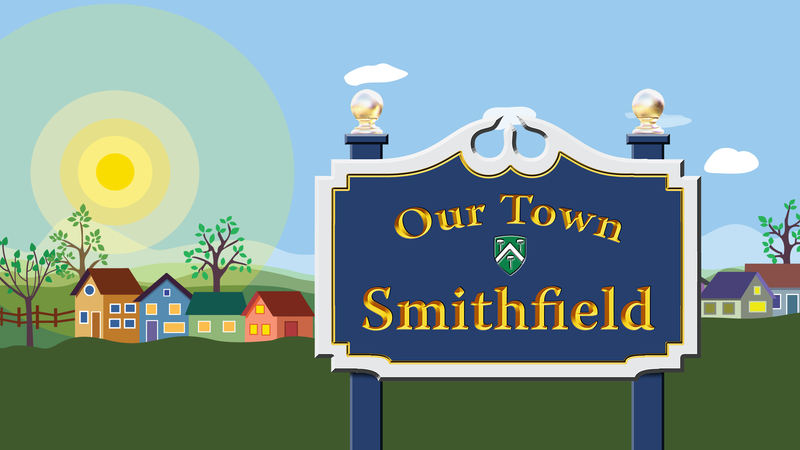 The first planning meeting in Smithfield will be on Monday, March 13 at 5:30 p.m. at the Greenville Public Library, 573 Putnam Pike, Greenville, RI 02828. Volunteer filmmakers will have two opportunities to attend one technical workshop on Tuesday, March 21 at 5:30 p.m. at the Greenville Public Library, and / or Tuesday, March 27 at 5:30 p.m. at Rhode Island PBS Studios. The deadline for all video submissions is May 5, 2017. Although dates for meetings and submitting footage are set, videographers need not wait, and are encouraged to shoot footage of any relevant event or storyline anytime up to the deadline for video submission. For information about joining the Rhode Island PBS Our Town project, and for details about meetings as the dates approach, visit ripbs.org/our-town, or call Jodi Mesolella (project director) at 401-222-3636, extension 209, Nicole Muri (producer) at extension 225, or email ourtown@ripbs.org.